While Wilfred Thesiger's own classic writings (including 'The Marsh Arabs', 'Arabian Sands', 'Desert', Marsh and Mountain', 'The Life of My Choice' and 'My Kenya Days') comprehensively cover his classic journeys amongst the Marsh Arabs in southern Iraq, or across the Empty Quarter in Arabia, they fail conspicuously to shed light on his character and motives, which have remained an enigma. 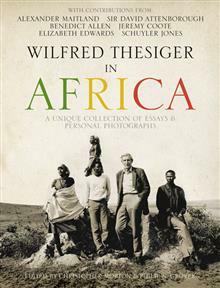 Maitland's biography had Thesiger's support before he died in 2003, and has been written with full access, granted to no one else, to the rich Thesiger archive - vivid, intimate family correspondence, and his own letters, diaries and notebooks which are far more confiding than his scrupulously edited published accounts. Maitland investigates in depth Thesiger's parents and family influences; his wartime experiences and the ethos of conflict; his philosophy as a hunter and conservationist; his development as a writer and photographer; his close friendships with the Arabs and Africans amongst whom he lived; and his sexuality. In all, this major biography of a great and unusual man will take its place on the shelf of outstanding lives of the great explorers. Alex Maitland was Wilfred Thesiger's long-standing friend and biographer, and is the foremost expert on Theisger's life and works.